At the Fort Berthold Technology & Innovation Summit in June, Sherry Stout joined us from the U.S. Department of Energy’s National Renewable Energy Laboratory (NREL). Sherry is an engineer at NREL, where she leads NREL’s engagements with American Indian Tribes. She is also currently working with U.S. federal government agencies and national governments in South America, South East Asia, and North Africa to plan and implement sustainable and resilient energy programs. Her specific research areas include grid integration of distributed renewable generation, energy/water nexus issues, and rural electrification. The energy industry is changing. Infrastructure in the United States is outdated and near maximum capacity even as our population continues to grow. And as the Climate continues to change and finite traditional sources of energy dwindle or become inaccessible, it’s important to consider a diverse energy portfolio for the country—and MHA Nation is no exception. The Three Affiliated Tribes must take a proactive approach in understanding their energy supply and what opportunities for exercising sovereignty are out there. Below is a summary of the presentation Sherry Stout gave at the Tech Summit. View slides from her presentation in the resources section at the bottom of the Electric Transmission Plan’s project page for further information. The energy revolution is creating American jobs, boosting economic growth, spurring innovation, and strengthening U.S. energy security. A key component of this revolution is NREL. NREL started in 1977 as the Solar Energy Research Institute (SERI). It was created out of national concern during the 1973 oil embargoand in response to the Solar Energy Research, Development, and Demonstration Act of 1974 to research technologies that would strengthen the United States’ efforts toward gaining energy independence. Its mission is to advance the science and engineering of energy efficiency, sustainable transportation, and renewable power technologies,and provide the knowledge to integrate and optimize energy systems. NREL’s research in these four main energy sectors is what boosts economic growth and drives the bigger engine of U.S. innovation. Renewable Power includes solar, wind, water, and geothermal energy technologies. Sustainable Transportation includes bioenergy, vehicle, and hydrogen technologies. Energy Efficiency includes building technologies, advanced manufacturing research, and energy management programs. And Energy Systems Integration applies high-performance computing and data/visualization capabilities to grid modernization. This research is promoting better plants, manufacturing processes, and products; providing technologies for more efficient new homes and improved older homes; and examining other solutions to enhance the buildings in which we work, shop, and lead our everyday lives. Today, the power system in the United States and around the globe is continually changing to one that is more distributed, more digital, and more decentralized. This results from a combination of trends, including retirement of older coal plants, the low cost of natural gas, and increased demand for energy efficiency and investment in renewables to meet state Renewable Portfolio Standards. There are several key technology challenges that will need to be addressed with innovation to facilitate this energy revolution, such as energy storage capacity to account for fluctuations in energy production from sources such as wind and solar for example. And the pace of innovation will dictate what the ultimate cost to society will be of making this transition to the power system of the future. There are 6.4 million U.S. workers employed in the design, installation, and manufacture of energy products and services. According to the U.S. Department of Energy’s 2017 U.S. Energy and Employment Report, the solar workforce increased by 25% in 2016, while wind employment increased by 32%. And hiring rates in the solar and wind industries are outpacing U.S. economic growth by up to 17 times.The transformation of our nation’s energy system is creating opportunities for hundreds of thousands of new domestic jobs. According to the U.S. Energy and Employment Report, solar technologies—both photovoltaic and concentrating solar power—employ more than 373,000 workers, or 43% of the electric power generation workforce. According to the Solar Foundation’s 2016 Solar Jobs Census, solar jobs have increased at least 20% per year for the last 4 years; one in 50 new U.S. jobs were in the solar industry; and the solar industry employs more than twice as many Americans as the entire coal industry and just as many Americans as the natural gas industry. Energy sourced from abundant domestic resources including oil, gas, wind, nuclear, solar, clean coal, and future innovations requires a continued investment in grid and fuel infrastructure. Now, more than ever, it’s critical we invest in a diverse portfolio of domestic energy. Solar- and wind-generated electricity are being incorporated into the grid at increasing levels, and NREL’s research in grid integration and leadership in establishing standards are making that increase possible. This transformation is not only in our nation’s energy supply, but also in how we consume energy. Consumers have more choices in the way they buy and consume energy than they ever have before. To set the stage of how critically important NREL’s work is right now, let’s look at how the energy landscape is changing. Because of energy efficiency, the use of energy in the United States is declining at the same time the gross domestic product is increasing. The U.S. economy is accomplishing more with less energy. The U.S. energy supply has shifted as the total energy demand has fallen 3.6% during the past 10 years. However, the natural gas supply has increased by 6.1% and the renewable energy supply (including hydropower) has increased by 3.9%. As more renewable energy sources enter the market and more generating plants jump online, the electric grid will have to change as well. NREL does a lot of energy assessment for tribes. This includes everything from building loads to community microgrid design. The goal of an NREL assessment is to find ways to optimize energy use to reduce costs to tribal governments and community members while increasing reliability of service. Many tribes have started producing their own energy through renewable energy sources as a way of increasing self-reliance. NREL also works with these communities to design projects and programs to meet tribal energy goals. NREL has also recently developed a data explorer tool specifically for tribes. This is expected to be released later this summer. The tool allows tribes to assess their renewable energy resources, access information about transmission lines and pipelines that are on or near tribal land, and view other important energy information such as electricity rates and energy efficiency options that work in their climate zone. But NREL doesn’t just stop at consumer electric supply. NREL also has a host of publicly available tools to look at transportation options as well.These tools have been created to help public- and private-sector fleets, as well as the general public, better understand and use alternative fuels and advanced vehicles. The Alternative Fuels Data Center (AFDC) website houses an extensive collection of information, data, and tools related to all the fuels and technologies in the Clean Cities portfolio. 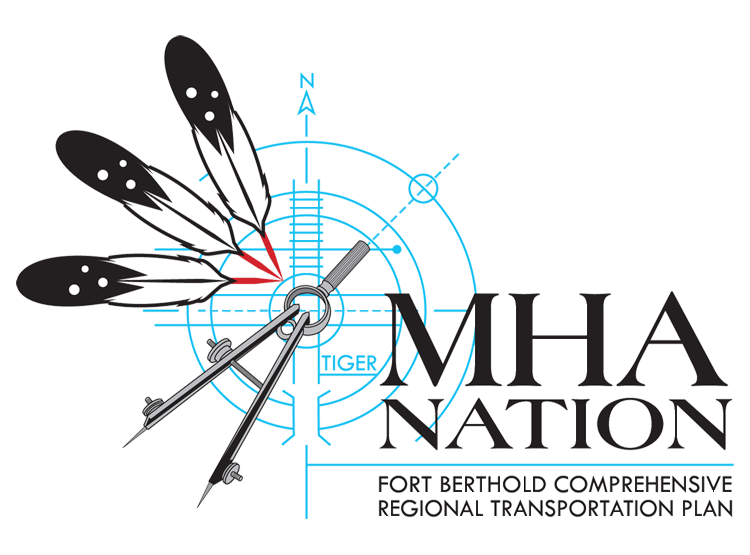 The electrical grid is complicated, and change to that system might still be a long way off, but the more information Fort Berthold has, the more informed its decisions and proactive its approach to energy will be. To see slides from the presentation, visit the Fort Berthold Plan Electric page at http://fortbertholdplan.org/power/. Visit NREL.gov for more information.